Two rubrics for writing picture books on Storybird in Spanish. One for lower level students in present tense, the other for higher level students using preterit and including an oral presentation of the picture book to younger students. 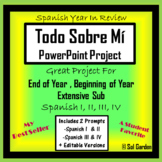 Create an all about me presentation in Spanish! Oral Presentation Rubric for Spanish. 2 rubrics. Written in Spanish and English. Spanish Project: Create A Children's Book! 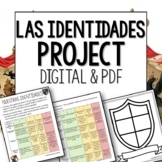 This project requires students to create a menu in Spanish. 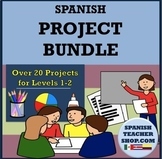 Includes project description/requirements, example layouts, and a grading rubric.